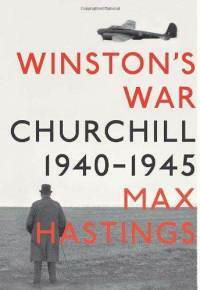 I’m reading the biography of Winston Churchill by Max Hastings and I’m also following along with The Orwell Diaries on RSS. I’m at a similar point in both stories and what strikes me most forcefully is how bleak those times were and how close Britain was to utter disaster. My imagination won’t stretch far enough to accommodate the events of those dark days. It puts the rhetoric about the threats we faced from Al Qaeda in perspective for me. 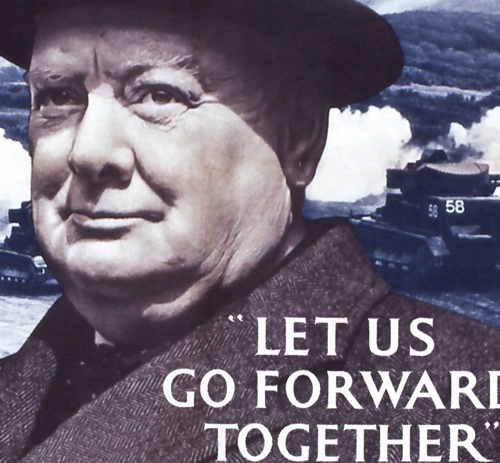 Britain circa 1941 faced an existential threat. America circa 2001 did not. On January 27, amid increasing parliamentary criticism, Churchill faced the commons. “It is because things have gone badly, and worse is to come, that I demand a Vote of Confidence,” he said. He won the vote by 464 to 1. A bleg: when I am done with this, I’d like to learn a little more about the American Revolution and the Civil War. Any recommendations for a book on each? I’m more interested in the politics and the build up than the actual fighting in each case. Thanks. Will check it out. But i’d really like a book. I loved “The Battle Cry of Freedom” by McPherson. Matt: That looks like my book. It’s on its way to my kindle. Jeff: I had read a couple of those already but did not realize it was a series. Instapapered! Would I gain any benefit from reading about the two wars in order, so to speak? Perhaps, in that putting together the union in the first place was a challenge and keeping it together was an extension of that original difficulty. So it is worth reading in order if you’re not reading about the wars but about the politics at the time of the two wars. Might also want to watch the John Adams miniseries. Previous Previous post: Who is Stealing from Whom?